I Wear Many Hats: Futurist, Graphic & Web Design, Digital Artist, Film Fest Director, Movie/Music Producer, Artificial Intelligence & VR Developer. A Festival That Really Cares! The OWTFF provides an equal chance of winning for all entrants, regardless of size and budget. Entries are judged on Quality of Craft and Creativity. Our main goal is to help artists gain publicity, media exposure, and momentum, as well as pay Tribute to their Ingenuity. The OWTFF online Presence: We make a unique nice looking promotional page/info for each Nominee/Winner/Special Presentation (with specifications, trailer, credits, poster & links) which are permanently showcased & promoted on our website. The Nominees & Official Selections/Special Presentation (Local Support & VR) are announced 6 weeks before the Annual Event and the Winners 4 weeks before the Annual Event. Submissions are judged with HONESTY, INTEGRITY and an OPEN MIND. The names attached to the project do not enhance the chances of being a success at the OWTFF, but Talent, Creativity and Dedication surely DO. Our judges panel are Skilled and Established Film Industry Professionals; Agents, Directors, Casting Directors and Producers. Winners will receive a lot of exposure as we broadcast the list of Winners via Press Releases and mention them in Local/Worldwide Media Interviews. Also, by registering your work at the OWTFF, you will expand your online presence as we constantly (All year long) post trailers and share about our new submissions on Facebook, Twitter and on Instagram. You can easily submit your project on our website or via FilmFreeway. All Language film submissions are accepted but if the submission is anything other than the English Language, it must be subtitled. 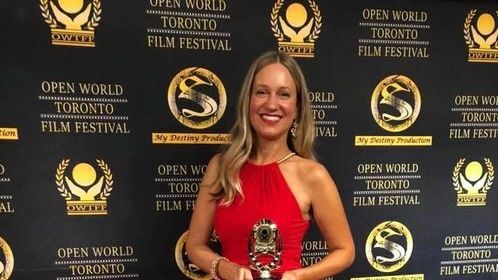 All genres are very welcome to submit at the OWTFF; Animation, Drama, Action, Comedy, Adventure, Informative, Horror, Fantasy, Sci-Fi, Experimental and Romance. JUST SURPRISE US! The OWTFF likes to give out Awards! The Winners of each category will be Awarded a Trophy at the Annual Gala and also receive Guaranty Free OWTFF VIP Access for themselves and their Family/Team. The recipient that are not able to attend the event can send us their acceptance speech via video to be played on the Big Screen at the OWTFF.